By 2019, Google Maps could (finally!) Display speed limits (and fixed speed cameras)! 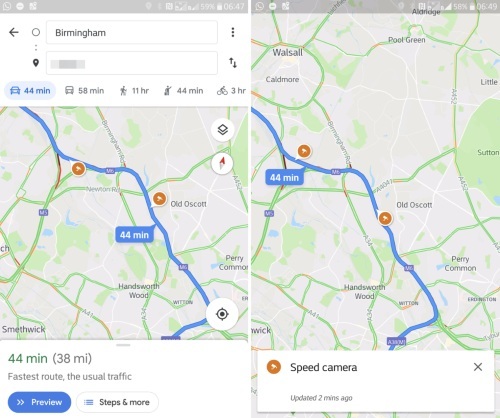 Google Maps will soon show speed limits to it's users. It may also show locations of speeding cameras of roads. If for some years already, Google Maps has replaced this good old GPS in our cars, the navigation software made in Google still does not display the speed limits on the screen. Unlike others ( Waze for example ), impossible since the application of Google to know how much is limited the national on which one circulates, or the maximum speed allowed in this small country village. 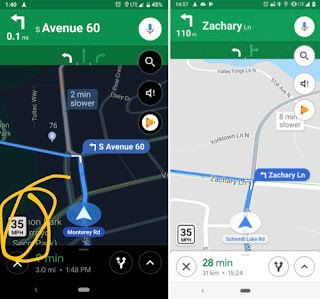 The Mountain View company finally decided to implement in its Google Maps application two very useful features for motorists who until now were still lacking. This is a "speed limit" for speed and speed trap limits for the detection of speed cameras scattered on a route. The first, as its name suggests, informs drivers of the speed limit rules in force on the roads they drive. This information is displayed in the corner of the application and should limit the occurrence of avoidable accidents related in particular to speeding. The second feature built into Google Maps introduces an icon showing the location of the radars(cameras). It will also allow the driver to receive audio notification when approaching a speed camera. 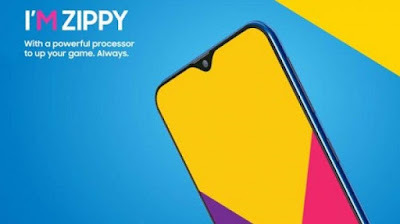 Google started testing these features in 2016, but they were only available in parts of the world (San Francisco, Rio de Janeiro ...). Google hopes that this update of its Maps application will help it to catch up with conventional car GPS manufacturers who already offer these features on their equipment. 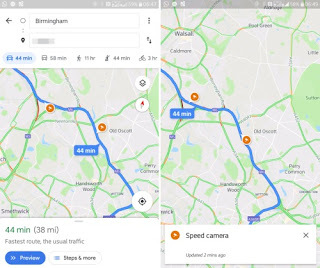 The technology company has begun to roll out these new features on Google Maps versions that support iOS and Android platforms. The update is available to users in Denmark, the United Kingdom, and the United States. The icons that report the location of the radars on Google Maps via the new feature are, for their part, already usable in Brazil, Australia, Canada, India, Indonesia, Mexico, Russia, the United Kingdom, and the United States.